For now, Randy Travis is a country music legend! He has sold more than 25 million records. He has earned 22 number one hits, 6 number one albums, 6 Grammy Awards, 6 CMA Awards, 9 ACM Awards,10 AMA Awards, 7 Dove Awards and a star on the Hollywood Walk of Fame. Truly, he has created a catalog of music that will endure for generations to come! This past week, Randy Travis had a public meltdown. He was found naked lying in the middle of the road found by a driver passing by who called 911. Travis went on to threaten to kill the arresting officers as well. 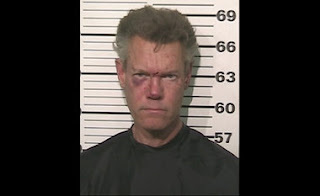 Later that day, Randy Travis was charged with driving while intoxicated (DWI) and retaliation and obstruction. On Wednesday, he was released on bond for $21,500. This is a sad story. But, it proves a very important point: Addiction does not discriminate. Like stars before him (think Amy Winehouse and Whitney Houston), Travis has the American Dream. He has it all. And he stands on the verge of throwing it all away from poor decisions. If he does not take drastic measures to deal with his drinking problem, he will fade into obscurity professionally and could even die. However, the story is not over yet. To be sure, the Travis family must be going through incredible pain due to Randy’s struggle with drinking. It’s not our intent to publicly shame Randy. Rather, we post this as a solemn reminder that NO ONE is immune from addiction or the consequences of addiction as well as to send out our best thoughts and wishes for a long-lasting sobriety and recovery to Mr. Travis. Thank goodness, in this case, no one was hurt due to Randy's poor judgment. Still, we believe, due to the nature of addiction, that he is not responsible for being an addict rather he is responsible to stay clean. It is our sincere hope that Mr. Travis will get the support and medical attention that he needs so he can resume his already brilliant music career for years to come! The Coleman Institute specializes in helping anyone, whether great or small, get clean and stay clean. If you or someone you love is in need of detox from opiates, alcohol, benzos, Methadone, or Suboxone, please do not hesitant to call Jennifer Pius at 1-877-77-DETOX (33869). Whoever you are and wherever you come free, rest assured, we are here for you!